O’Gorman Street Park at Alexandra Hills has undergone an extreme makeover in the past four months to the tune of $900,000 and local residents can witness the transformation from Monday 30th July onwards. Redland City Mayor Karen Williams said Redlands Coast is full of amazing open spaces and this particular park has got something for everyone. It’s amazing. “Every now and then a community space demands a significant facelift and O’Gorman Street Park is one such space,” she said. “Factors such as ageing equipment and structures reaching the end of their useful life, coupled with demographic changes in the area provided the basis for this significant makeover. “Having said that, not all the equipment is new and some kids will recognise their old favourites like the seesaw that’s had a new lick of paint,” Cr Williams said. The residential population of Alexandra Hills is expected to increase by 1,001 people to 18,307 residents by 2026. Division 7 Councillor Murray Elliott said that put a lot of emphasis on community spaces and well-developed parklands to deliver leisure spaces and other benefits to the adjacent populations. “Parks, of all shapes and sizes, are where people go to get away or to get together,” he said. “Designs aim to meet the play needs of a diverse community including various ages, and different backgrounds and abilities. “The multipurpose court, the five metre jelly fish slide and the multi-spinner carousel will all appeal to the older children who want something different to do while they hang out. “Toddlers and younger kids on the other hand will get a kick out of the crocodile, embankment slide, forest house and the funky play xylophone (cavatina),” Cr Elliott said. 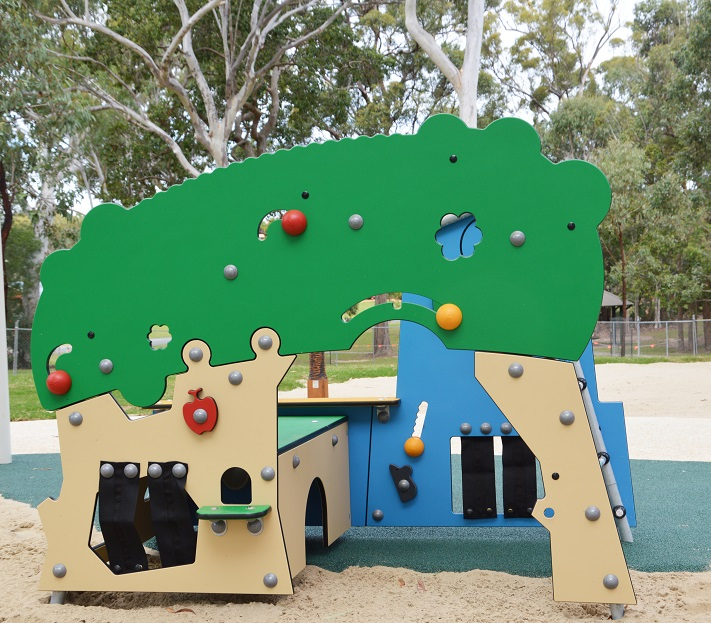 Alexandra Hills is also demographically younger with O’Gorman Street Park now catering for young children through to young adults with a range of new facilities and equipment upgrades. Apart from the pathways and landscaping using plants, sandstone blocks and boulders, natural timber features, turf and soft-fall areas, there is new seating, shelter and a BBQ, making any outdoor party a breeze.